These scholarships are a big part of DeVos’s plans to expand school choice because they would fund private or religious education for students who otherwise might be going to public schools. 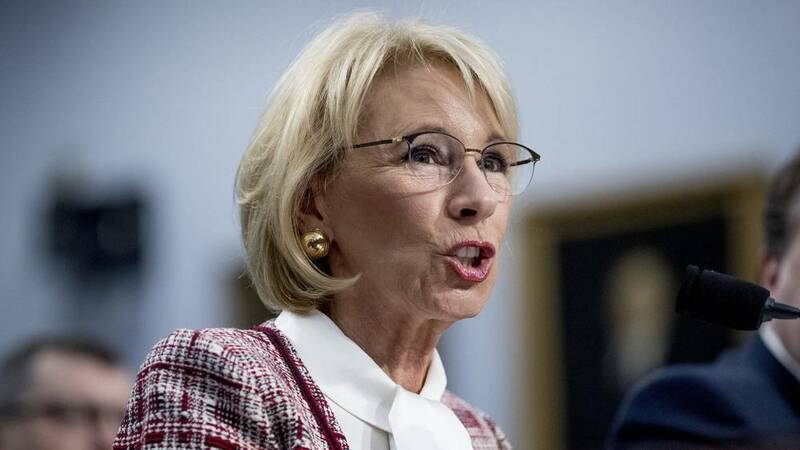 “Privately funded scholarships improve the educational experiences of students across the country, without taking a single dollar away from public schools and the students who attend them,” the Education Department says in a fact sheet. But the individuals and businesses privately funding these scholarships would get a dollar-for-dollar tax credit under DeVos’s proposal. President Trump’s 2020 budget plan includes a $5 billion tax expenditure for these credits. “Because it is a tax credit, it will not divert a single dollar away from public schools or teachers,” the Education Department says. States would have the option of participating, but they would not be forced to do so. “Each participating state will determine how it will structure its program, including eligible students, education providers, and education expenses,” the Education Department says. Participating states would have to identify “scholarship-granting organizations.” These are typically nonprofit organizations that offer scholarships to low-income or special-needs students. Individuals and businesses donating to these scholarship-granting organizations “are eligible to receive a non-refundable, dollar-for-dollar federal tax credit, but no contributor will be allowed a total tax benefit greater than the amount of their contribution,” the Education Department says. The most transformative education proposal in the President’s Budget Request is not a part of the Department of Education’s fiscal year 2020 budget, but rather is proposed in the request for the Department of Treasury. It is a federal tax credit for voluntary donations to State-designed scholarship programs for elementary and secondary students, capped at $5.0 billion per year. This tax credit is available to individuals and domestic businesses. The donations will empower States to offer scholarships that can be used on a wide range of public and private educational activities. States, not the federal government, will determine family eligibility requirements and allowable uses of scholarship funds. Because it is a tax credit, it will not divert a single dollar away from public schools or teachers. This comes at the same time that the Education Department is proposing to reduce its own budget by 12 percent, or $8.8 billion. That includes cuts to programs to manage class sizes and fund teacher development, technology and services for students, critics note. “For the third year in a row, the president’s dead-on-arrival federal budget proposal prioritizes privatization, reverts to post-sequester spending levels, and underinvests in critical education supports and programs, threatening to revert trends in student attendance, graduation and performance,” said Noelle Ellerson Ng, associate executive director of the School Superintendents Association. The 2020 Request promotes fiscal discipline and supports priorities to improve the quality of education and prepare students for the workforce of the 21st century. The Request would implement fundamental reforms aimed at reducing the size and scope of the Federal role in education, while empowering States, communities, and parents to improve the performance of our schools and postsecondary institutions. As such, the Request eliminates funding for 29 programs that do not address national needs, duplicate other programs, are ineffective, or are more appropriately supported with State, local, or private funds. For example, roughly $74 million would be cut in “impact aid,” a reduction from $1.44 billion to $1.37 billion in Trump’s budget. The Education Department sends impact aid to school districts on federally owned lands, which are exempt from paying local property taxes. Those school districts would be in a pickle without impact aid because property tax revenue commonly goes toward funding public schools. Taxpayer dollars would not be used directly on the scholarships, and there’s no direct comparison to be made between the $8.8 billion in cuts at Education and the $5 billion tax expenditure at Treasury. But these seem like distinctions without a difference. What’s being proposed is a dollar-for-dollar tax credit, meaning taxpayers would end up footing the cost of the scholarships (albeit indirectly and capped at $5 billion) even if the private sector is fronting the money. Meanwhile, the Education Department is justifying the proposed cuts to its budget in terms of “fiscal discipline” and “the President’s overall goal of increasing support for national security and public safety without adding to the Federal budget deficit.” DeVos and the Trump administration are choosing to fund the tax credits while choosing to cut the department’s programs. “While the tax credit would forgo revenue from federal coffers, it certainly would not draw on dollars headed to public schools,” wrote Nat Malkus, of the American Enterprise Institute, a conservative think tank. “EFS would be no more in competition with public-school funding than would investments in highways or defense expenditures. And while it would support private school choice in some states — as states have the responsibility and flexibility to set the contours of the programs — it could just as easily be used to drive educational options that are much more popular on the left. A clever bureaucratic design cannot paper over the reality of money going in and out. In this case, DeVos’s plan does not involve a $5 billion line item in her department’s budget. Rather, it’s a tax expenditure in the Treasury Department. That’s a bit of an artifice to us. Getting down to brass tacks, the federal government would be forgoing up to $5 billion in revenue to cover the cost of DeVos’s Education Freedom Scholarships. Private actors may be fronting this money with their donations, but they would get a dollar-for-dollar tax credit in return. That’s money that could have been put to another use, such as public schools or the military. Once you open that door, what’s the difference between cutting school programs to support national security and cutting them to support tax-credit scholarships? Both of them — national security and EFS scholarships — would fall outside the Education Department’s budget request. 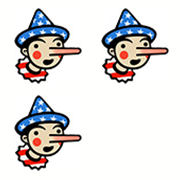 It pushed us to Three Pinocchios. DeVos’s carefully worded tweet leaves out any mention of the tax credits. Her claim that public schools would not lose funding to the scholarship program may be accurate in a technical, budgeting sense. But it’s clear where her priorities lie: $5 billion for the tax credits, but “fiscal discipline” and $8.8 billion less for her department’s programs.